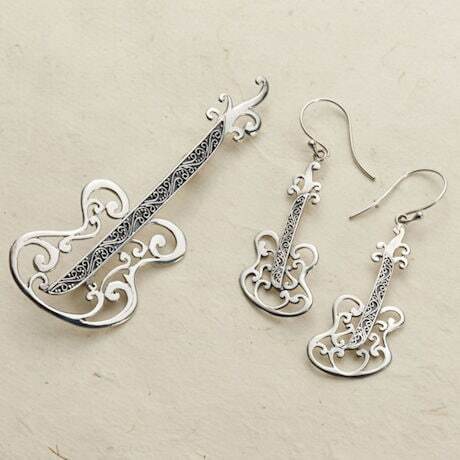 Gifts for musicians, music teachers, and anyone who loves guitar solos. Curving lines and delicate filigree identify these as Balinese silver. Dramatic 2 ½" pin doubles as a pendant, thanks to a hidden bale on back. Earrings hang 1 ¾" on sterling French wires. All are made by hand in Indonesia.